“G’day mate. Bloooody awwwwesoome”. 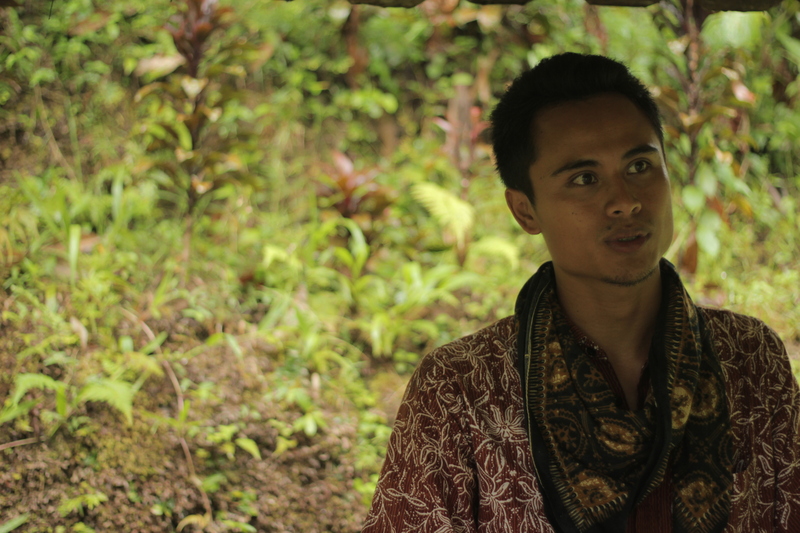 Gusti, our local guide during our tour of Tirta Gangaa bursts out in perfect Australia drawl. This would be a little gimmicky, cringe-worthy even on anyone else, but for some reason it’s just plain endearing on this guy. Maybe because it’s the way he looks – his appearance is comic, in a good way. His body and head are tiny, with over-sized ears and a toothy grin that almost never leaves his face – he’s like a real-life caricature. The cheesy faux accents seem to fit naturally into his entire persona. We met him as soon as we got to the Temple entrance: “Do you need a guide?” I’m not sure. 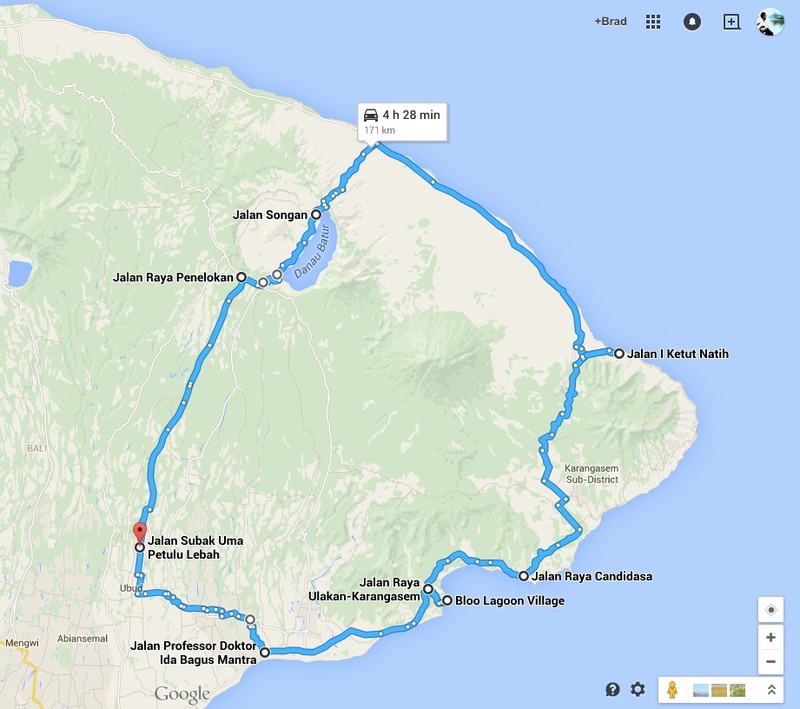 In our experience, it is very hit and miss with local guides. When they’re knowledgeable and can tell you things about the site you would never have discovered yourself, I find they’re worth every penny / rupee / rupiah. But more often than not, especially in India, they regurgitate some obvious facts from wikipedia, rush through the tour and you finish in one of their mates souvenir stores. I don’t know why, but something about Gusti made me take a chance on him. To be fair, he wasn’t the best guide in terms of knowledge, but he made up for it in terms of comedy. Every sentence starts with “Well Brad and Mesi…” The first time it’s normal. By the fifth time it’s annoying. But by the twentieth time it’s so ridiculous it’s funny again, and more so as ‘Brad and Mesi’ slowly becomes ‘Brad and Menshi’. A girl, no older than seven, spins a glass top on the communal table. She’s trying to outdo her dad, John a middle aged Englishman – sporting relaxed grey singlet, and relaxed grey goatee. They’re competing for the important title of being the best spinner of the glass tops. The girl, Mabel, is adorably competitive. The way John interacts with her is inspiring. They laugh and flip through magazines, talk, play at the communal coffee table. 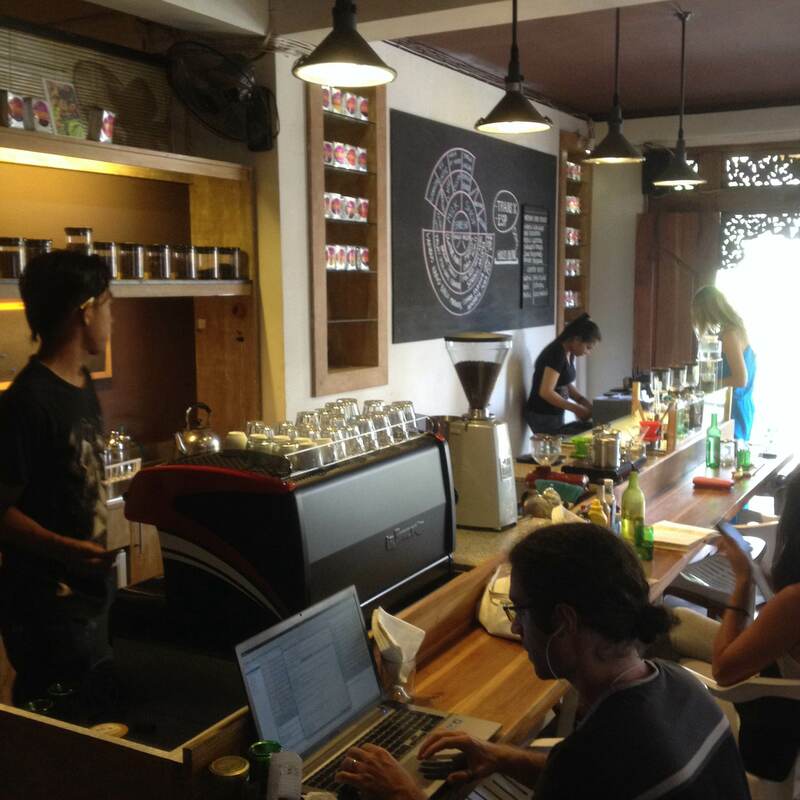 A father-daughter excursion to the best coffee in Ubud. Mabel moves back and forth in the specially designed rocking chairs that dot the cafe. One of John’s friend, Tegan, comes into the cafe. She’s in her early 40s, by herself, Australian, friendly. They exchange greetings. 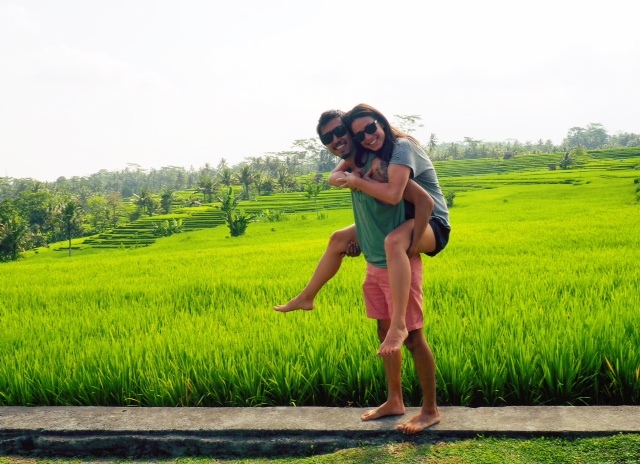 It’s soon clear they are both part of the expat scene here in Ubud. “I was speaking to Diego last night and he’s joined some transcendental club”. I’m not sure what a transcendental club is, but it seems exclusive. 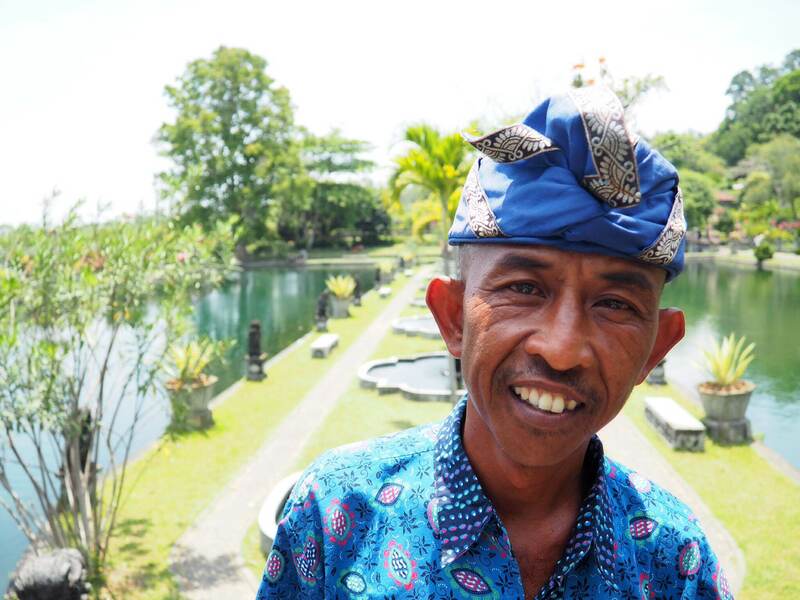 Robert, a Californian who leads tours around Bali, took us to Sehbatu – a small but enchanting waterfall temple situated just a few kilometres outside of Ubud. The waterfall is fed by cool groundwater rushing up from deep within the Earth, where it has waited decades, perhaps centuries, to see the light of day. 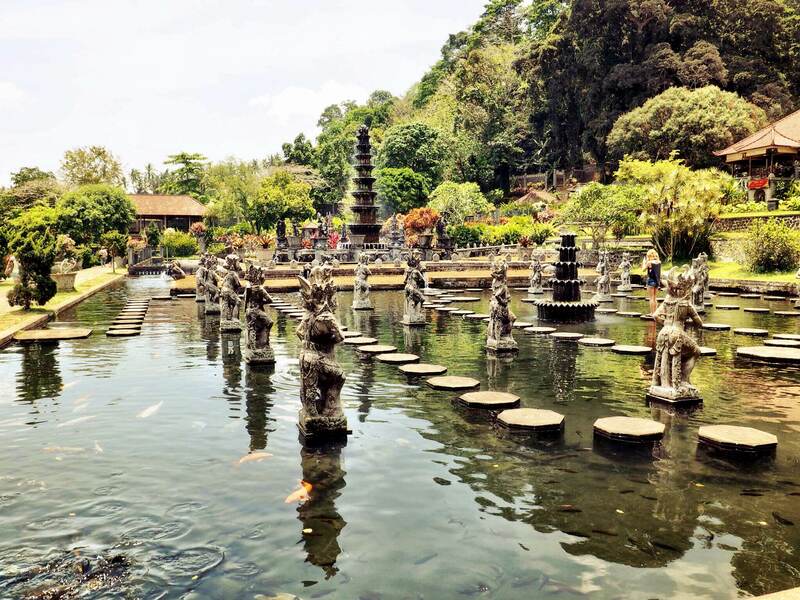 The Balinese, who believe that the water at this site has powerful purifying properties, have set up a modest temple next to the falls, and the entire complex – temple, waterfall and pool – is surrounded by jungle. It is a beautiful mix of the natural and the sacred. 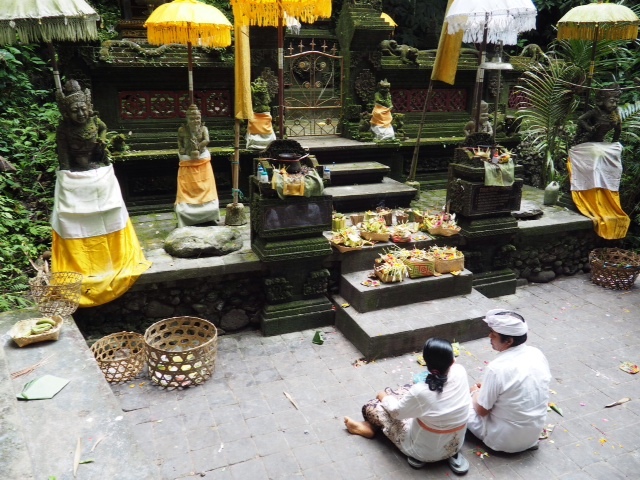 It is not surprising to me that much of Balinese spirituality revolves around water. 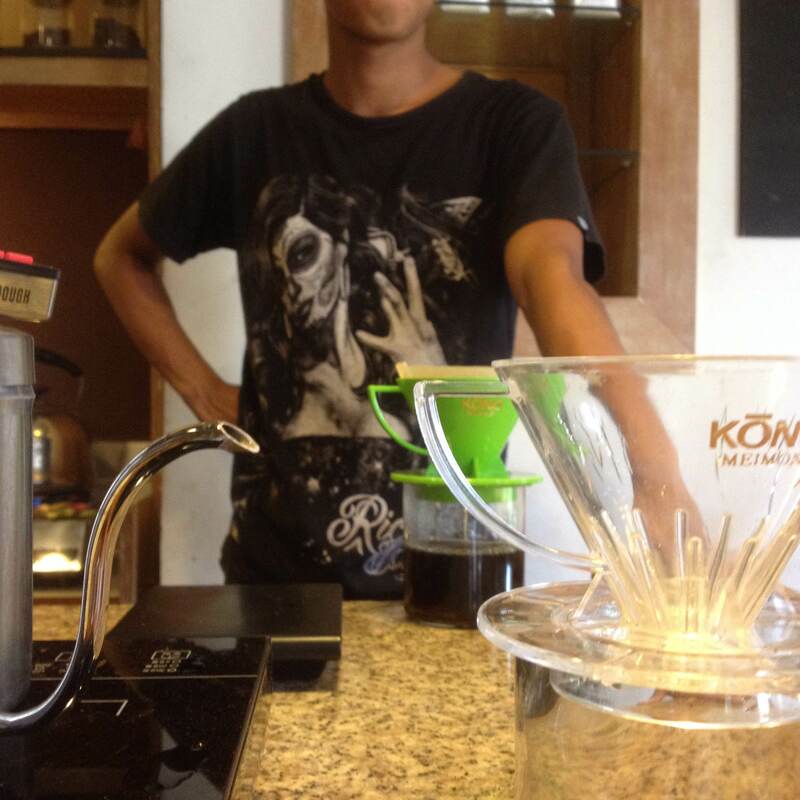 In many ways it is simply a reflection of how important the element is to life on Bali. 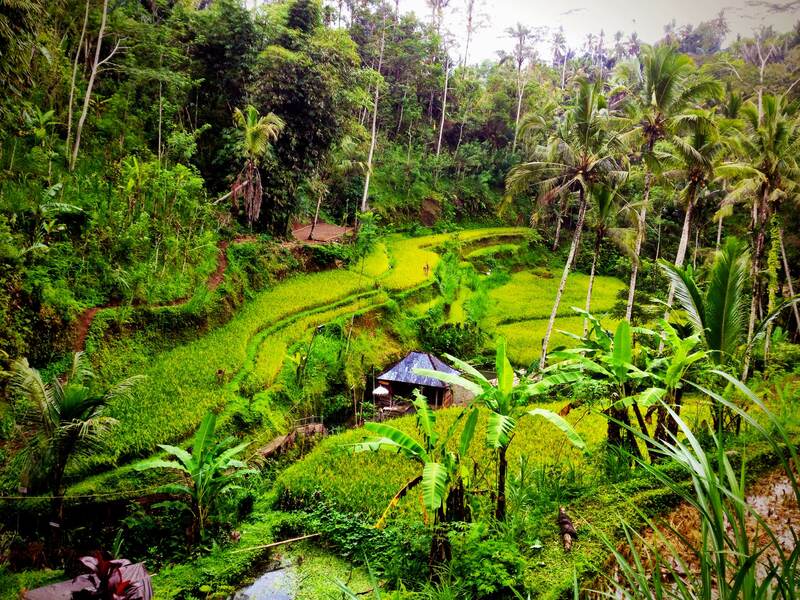 The island’s hilly interior and rainy season mean that rivers abound – providing a drinking supply and irrigating the water-intensive rice fields. Water, literally and spiritually, nourishes the island. To receive the purification powers of the waterfall, one enters the waist-deep pool at the base of the falls. An offering is made before thrusting one’s head straight under the falling stream. The waterfall is small, less than a few metres, but its power is unmistakeable. Straight away you feel the chilly bite of the ground water. On several levels, it shocks you awake. You can’t hear anything except the white noise of the crashing water and the rest of the world disappears. Breathing is possible but not easy and you have to concentrate not to panic as your lungs and senses are stressed. But once you settle in the process can be strangely calming. It’s not unlike meditation. To keep your head under the falls you have to quieten the nerves, concentrate on the breath, and remain in the moment (you actually have no choice on that last one). Robert suggested we consciously think of something we wanted to let ago of, something that didn’t serve us anymore. On an adjacent waterfall, you can do the opposite, lie your back up against the rock, chest to the sky, water flowing right over you and open up to something new. Our small group took in turns to do this and all found it a moving experience. 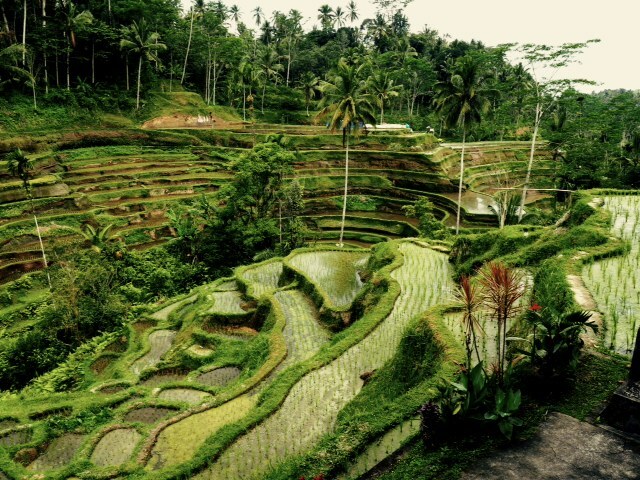 While we were there Balinese locals came to the waterfall, and performed similar purifications. One of these women came to us while we were seated at the temple to provide a traditional cleansing with the altar water, guiding us through the steps of ritual, before smiling and going on her way. She wasn’t a priestess, just an ordinary Balinese woman.